Products of the domain : Delicato Family Vineyards. Established in 1924 by the Indelicato family, this large house has been one of the most dynamic in the United States for more than 90 years. Three generations of family have succeeded one another at the head of this gigantic field favoring quality and innovation, In the maintenance of the environment. The vineyard benefits from a Mediterranean climate with hot and dry summers and cold winters, ideal for the development of the grape variety Zinfandel.Delicato Family Vineyards vinifies a range of quality wines from the most beautiful vineyards California. In a spirit of quality and consistency, Delicato Family Vineyards is truly one of the flagship Californian houses of recent years. 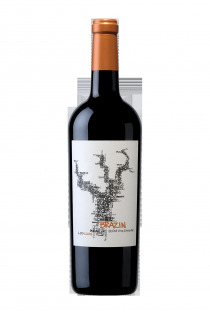 “Brazin” Old Vine Zinfandel Lodi - 2013 - Delicato Family Vineyards.